c2c Tools is a family of integration solutions, delivered via the cloud and offered on a subscription basis. The solutions address specific requirements or gaps in functionality of other systems. In production since mid-2012, c2c-tools has proven itself in a real-world conditions. c2c-tools can be provisioned and configured for you in less than a day, at a fraction of the cost of custom development. A subscription to any service covers all costs of infrastructure and support. “These integrations are already proven in real world conditions and can be provisioned and configured for businesses at a fraction of the cost of custom development,” – Gary Patterson – Zuora practice lead, Frontera Consulting. c2c Tools is built upon Heroku and Amazon Web Services (AWS) – industry leading platforms that allow Frontera to deliver secure and powerful solutions in minutes, not months. Many of the initial pre-packaged enhancements are for the Zuora platform. Zuora is the global leader in subscription billing and commerce solutions that help companies in every industry transition to the Subscription Economy. Enterprises and emerging companies alike use Zuora’s multi-tenant cloud solutions to enable growth strategies, to streamline key processes and to provide visibility into the metrics that matter most in the Subscription Economy. c2c-Tools is a set of pre-packaged integration solutions built to solve real-world client issues. c2c-Tools is not integration software. It addresses specific needs or product gaps in other cloud-based applications. The integrations below are proven in real-world conditions and can be provisioned and configured for you at a fraction of the time and cost of custom development. If the solutions below do not meet your needs exactly, the c2c-Tools framework allows Frontera’s Certified Solution Architects and Senior Developers to rapidly design, build and deploy a custom integration solution. As a cloud application itself, c2c-Tools requires no additional investment for purchase and maintenance of hardware. ZUORA INVOICE ITEM SYNC SERVICE – NEW! Sync Zuora Invoice Items to Salesforce to report on who bought what and for how much, directly in Zuora. Custom fields are supported. 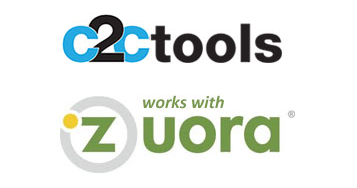 Combine data from Zuora and Salesforce to generate reports for Commissions, As-Of and MRR analysis. Reports are in Excel and refreshed with a click on a button. The FX Update service provides foreign currency conversion for invoice, payment, refund and adjustment amounts. Copies data from the Subscription or Rate plan charge to the invoice item. 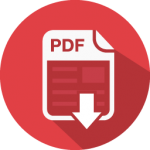 The Invoice PDF Exporter provides greater control to extract invoice PDFs out of Zuora. Filter options select invoices which are exported as individual PDFs or one PDF file. The Lockbox service automatically creates external payments from a bank file. Sophisticated processing handles partial payments, payments across invoices and across accounts. Save time by automating cash application with Lockbox! The Invoice Notification Service sends out Zuora invoices with HTML formatted emails from your mail server. Customers know the emails are from you and you can receive bounce-backs. Useful when invoices are modified prior to being sent to the customer, like 3rd party tax integration. Remind customers that their subscription will auto-renew or expire within X number of days with HTML emails. Payment Portal is a turnkey, hosted website for customers to pay invoices using a credit card or ACH. The look and feel of the Portal is configurable to maintain corporate design themes. Additional notification can be sent from the Portal to a user or a provisioning system. PCI-compliant! Dunning provides features to address past due accounts with user-defined thresholds that trigger email notices, late fee application and subscription cancellations. Each threshold level can be customized with the appropriate verbiage, table of overdue invoices, HTML formatting and images. Invoice PDFs can be included too.